Are you planning to head along to The Wildcat Shakeout? If not … then you’d better change your plans! The Wildcat Shakeout, presented by Kittyhawk Events, is sure to be a crowd-pleaser! Like the poster says, there’s dancing, schmoozin’ and lots of groovin’! And even better – there’s prizes to be won while you’re doing it! Featuring The Recliner Rockers, The Southern Diplomats and glamour gal DJ Netti Page, playing vintage vinyl only. 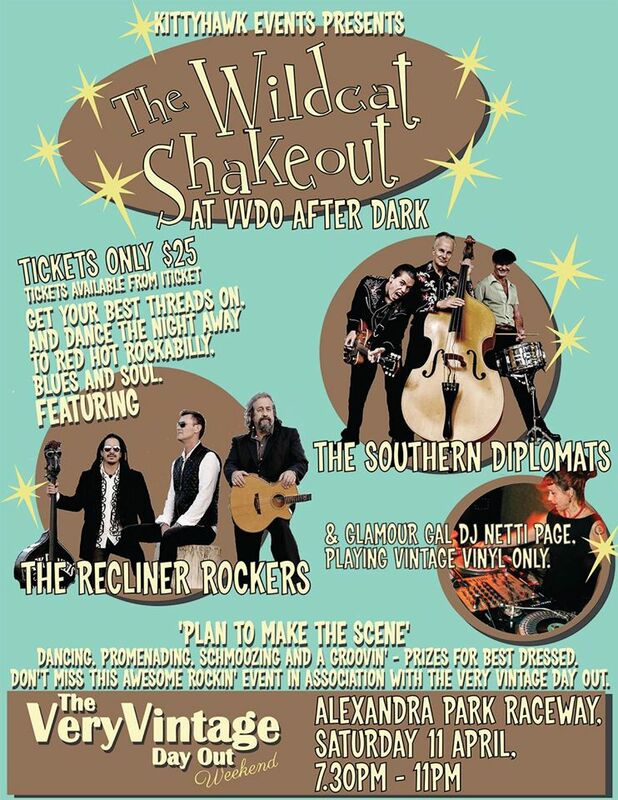 The Wildcat Shakeout is an exciting new addition to the extremely popular event, The Very Vintage Day Out at Alexandra Park Raceway on Saturday, the 11th of April from 7.30 to 11.30pm. Tickets are only $25, so get your best threads on, and dance the night away to red hot rockabilly, blues and soul. To buy your tickets, click here. 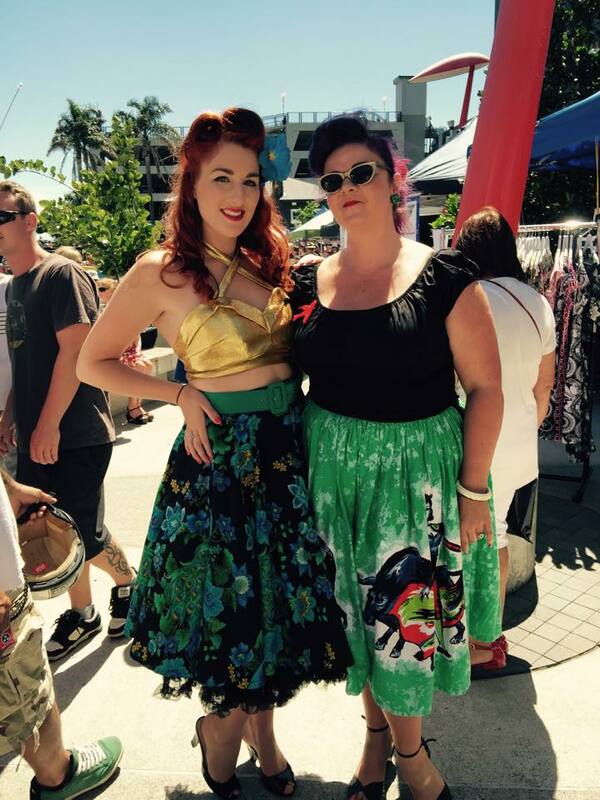 Be sure to keep your eyes out for these two Glamazons too – they’ll be there showing you how it’s done! And don’t forget … THERE ARE PRIZES! See you at The Very Vintage Day Out! Posted on March 22, 2015 September 30, 2018 by MumptyStylePosted in Burlesque/Pinup, Mumpty StoriesTagged DJ Netti Page, Kittyhawk Events, Lady Kittyhawk, Miss Monique Sweet, The Recliner Rockers, The Southern Diplomats, The Very Vintage Day Out, Wildcat Shakeout.